Microplex - EP Technology Inc. 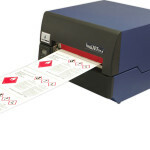 The Microplex LogiJet T11 is designed for manufacturing applications and breezes thru labels up to a full 11.8 inches wide at a speed of up to 5 inches per second. Intelligent barcode generation within the LojiJet T4-2 controller, RIPs printable barcodes including generating start/stop commands and the associated check sum minimizes data traffic on your network. Microplex’s LogiJet T6-2 is the only multi-mode thermal label LaserJet compatible printer that prints full speed directly from Microsoft Windows®, SAP/R3®, Oracle®, JD Edwards®, Peoplesoft®, Unix® and other applications without additional software. Microplex’s LogiJet T8-3 combines the robust Print Engine with the reliable Microplex Controller to become a dignified replacement with impressive characteristics. Margin trimming, bursting and stacking in a single process. The Microplex PP 405 is a multifunctional, 24 pin Print head, high performance Impact Printer, offering flexible Media management and a variety of Modular Interfaces (Personality Modules), allowing easy integration into various System and Network environments. 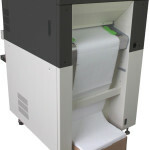 The PP 803 Printer offers a professional solution for heavy duty, flexible, cost-efficient printing. The rugged metal design and the Paper and Ribbon “Run Control”, guarantee reliable unattended printing. With its proven connectivity concept the PP 803 is prepared for any network environment.